Are Road Disc Models In The Very Near Future For Trek? Thanks to large market share and the Trek Factory Racing WorldTour team, Trek is one of the most influential bike brands in the world. If they introduce disc-equipped road bikes, it's likely to have a great impact on the market and the future of road bike design. Trek has spent some amount of time considering weather or not to implement disc brakes on road bikes, and have remained quiet about their plans for bikes in general; even to the point that they will no longer be holding themselves to producing yearly updates of bikes just for the sake of updating. Trek was non-committal in their response when asked if they would be a disc option for road bikes. Only months ago the comment was "No disc road bikes for us right now. We are researching them, but we won't bring something to the market unless we're satisfied that it's done right." That time could be approaching though since Chris Garrison of Trek UK has recently stated "We are working on disc-equipped bikes and Keith Bontrager is a part of that development." 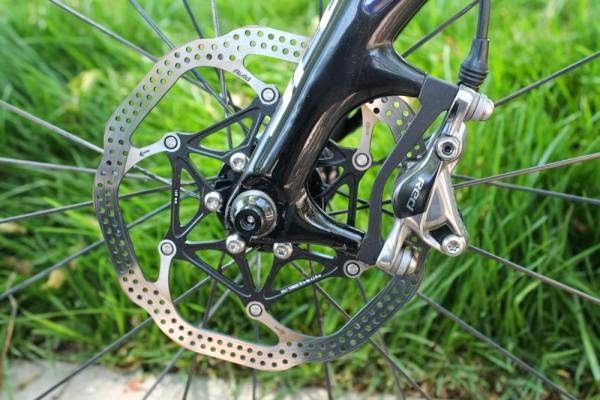 With these comments in mind, it seems that the introduction of disc brakes in the pro peloton will happen much quicker that predicted, and has the capability of changing so much in the world of racing. Even Keith Bontrager said, "The UCI could change (the rules) soon because the major component makers will have well developed systems available." He quickly added a disclaimer though, "I have no insight into whether the changes will occur at any particular point."